Product categories of 10G SFP+ Transceiver, we are specialized manufacturers from China, 10G Sfp+ Transceiver, Sfp Ethernet Transceiver suppliers/factory, wholesale high-quality products of Sfp Module Transceiver R & D and manufacturing, we have the perfect after-sales service and technical support. Look forward to your cooperation! 10G SFP+ transceivers include SR LR, ER, ZR, and CWDM, DWDM (40km and 80km) and BIDI series. This series of products adopt LC connector, compliant with IEEE802.3ae, SFF-8472 and SFF-8431, with features of Low Power Consumption, Small Size and High-speed. They are designed for applications of Data Centers, Metro Network, Wireless Network and Transmission network. 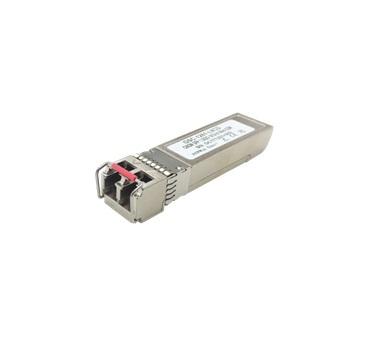 We can provide the 10G SFP+ transceivers that compatible with most of the branded switches, such as Cisco ,Juniper ,Dell ,Arista ,Huawei ,ZTE, Brocade and so on.